VELLORE: The Judicial Magistrate Court-III, Vellore, on Wednesday, granted CB-CID three days custody of C Martin Premraj for an inquiry into the case of Shameel Ahmed (27), who died from injuries allegedly sustained while in illegal detention. Premraj had been lodged in the Central Prison in Palayamkottai and was placed in judicial custody in a case of poaching deer. He was transferred to the Vellore Central Prison for Men on Tuesday around 11 pm, said a police official. Following the court order, the CB-CID has taken Premraj to its office at Otteri. On Wednesday, he was brought to the District Combined Court Complex amid tight security at 10.30 am and produced before the Judicial Magistrate Court III. The investigation officer of the case and the DSP of CB-CID, S Anantha Kumar, filed a petition seeking five days of custody of Premraj. However, the Judicial Magistrate, Revathy granted only three days of custody of Premraj and directed the police to produce him in the court at 4 pm on Friday. “Premraj has been named the prime accused in the Shameel Ahmed case. Only after the outcome of the inquiry is known will we be in a position to decide further course of action,” said a senior police official. Premaraj was suspended as inspector of Pallikonda station for detaining Ahmed (27) illegally for four days from June 15 and allegedly assaulting him. Ahmed died in the Rajiv Gandhi Government General Hospital at Chennai on June 26, which triggered riots and arson in Ambur the following day, leading to the arrest of several youth. 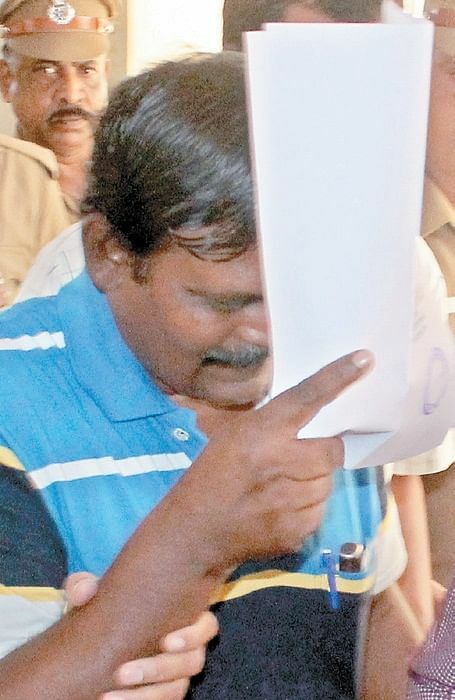 The CB-CID personnel had issued several summons to Premraj asking him to appear for inquiry in connection with Ahmed’s death. Premraj was arrested for hunting a deer in Kanyakumari district on July 31, by Forest department officials of the Azhagiyapandiyapuram Forest Range.